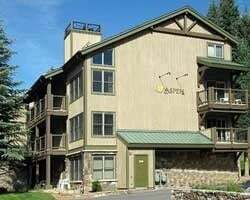 *RHC/StreamSide at Vail-Aspen* is one of Royal Holiday Club's most scenic resorts! Just outside of Vail Village, a beautiful stream and cozy forest flank the resort. Guests will find themselves just 3 minutes from the slopes! Vail Mountain and Beaver Creek are both excellent for skiing. There's plenty to do in the summer months, too- try swimming, hiking, biking, fishing, golfing or whitewater rafting in one of the most beautiful places possible! The resort itself offers a health club with indoor and outdoor pools, saunas, racquetball courts, fitness equipment and more. For more information about this stunning Aspen resort promising adventure, visit www.royal-holiday.com. Suite is on the first floor! Buyer May Receive A Title Fee Credit, Inquire For Details!